Home › Announcements › More Historic Morrow County Newspapers Added! A partnership with the Morrow County Museum in Heppner, Oregon, means more historic newspapers are now up on the Historic Oregon Newspapers website! Fresh new content on the Historic Oregon Newspapers website includes the Boardman Mirror, which informed the citizens of Boardman, Morrow County, Oregon, on a weekly basis from 1921 to 1925. 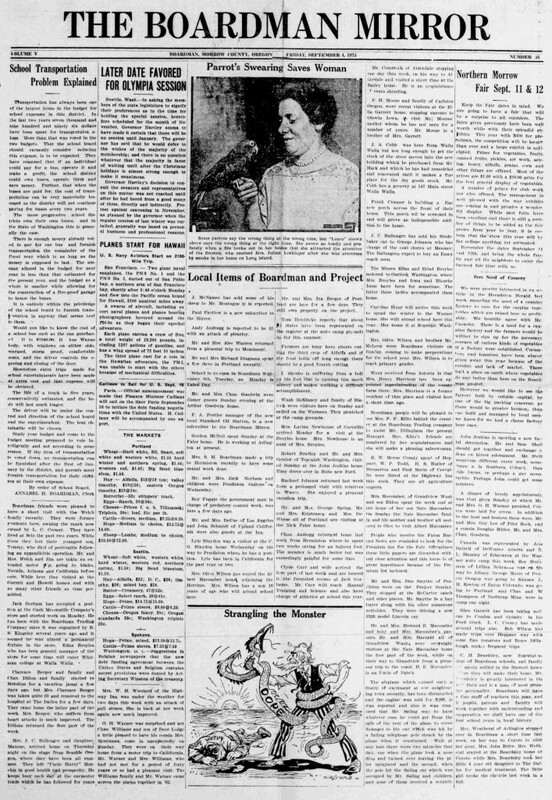 Historic Oregon Newspapers now has the complete run of the Boardman Mirror, from the first issue, published on February 11, 1921, to the last, printed on September 4, 1925. In addition to the Boardman Mirror, four newspapers that served the people of Ione, Oregon, are now available on the Historic Oregon Newspapers website. They are the Ione Bulletin (June 12, 1913 – September 11, 1913), the Ione Independent (January 4, 1924 – June 19, 1931), the Ione Journal (April 28, 1915 – April 12, 1916), and the Ione Proclaimer (Jume 25, 1909 – December 10, 1909). So much great historic newspaper content to read, research, and enjoy! 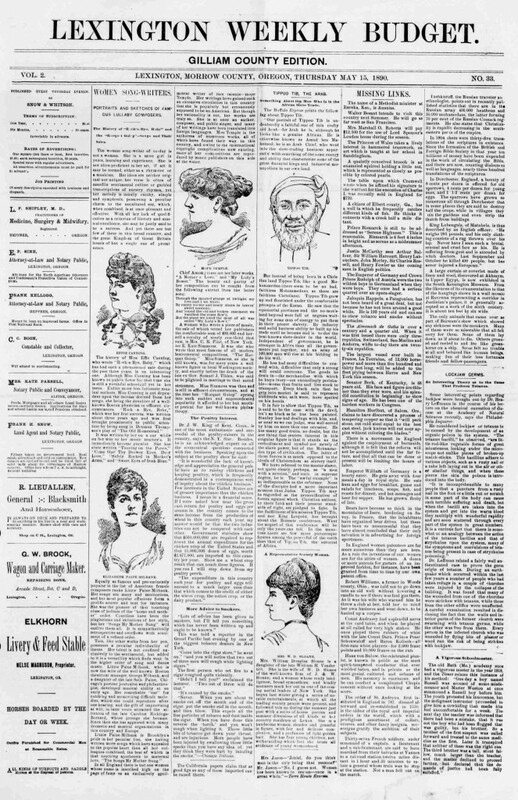 Historic Oregon Newspapers now also has the Lexington Wheatfield (September 28, 1905 – September 19, 1907) and the Lexington Weekly Budget (November 14, 1889 – September 25, 1890). Both of these Historic Oregon Newspapers were printed for and read by the residents of Lexington, Morrow County, Oregon. Additionally, both newspapers were published on a weekly basis. Alternate titles of these historic newspapers are the Wheatfield and the Weekly Budget, respectively. All content of these historic Oregon papers can now be viewed – at no cost to you!